It can be difficult to buy something that you don't really have any knowledge about. Whether it is something to be used for the house, for your car or even for personal use. You must always analyze and be meticulous when it comes to buying things especially if you would consider it as an investment. 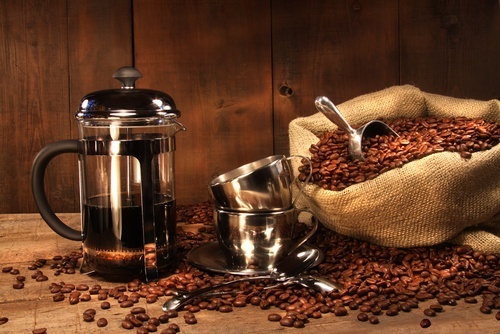 The very first coffee press was actually made from France. It was a metal or cheesecloth screen that is fitted into a rod that would be the one pressing into a pot of water that is boiling. The coffee press or known as the French press since it originated from France, underwent a lot of design modification through the person of Failero Bondanini. A coffee french doesn't really work well with drip brew coffee filter, instead, it works the best with a coarser grind. And when the finer grounds immerse on water, it will have lower permeability and it will require the excessive amount of force to be able to be applied by the person’s hand to be able to lower the plumber to seep through the perimeter of the filter and finally into the coffee. 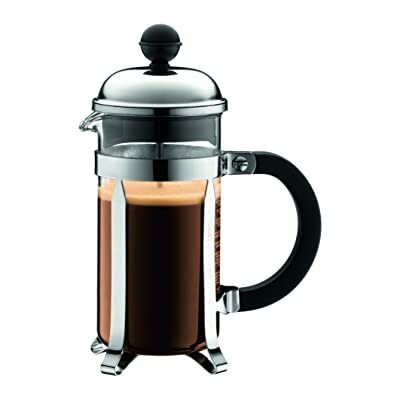 FRENCH PRESS – these types are more portable and very self-contained compared to coffee makers. 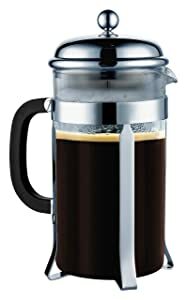 There are versions of coffee presses that is suitable for traveling because it comes with travel mug types that is actually made from tough plastic. These can be used by bikers, hikers and other backpackers who just love to travel and the ones who does not like to carry inconvenient heavy things. 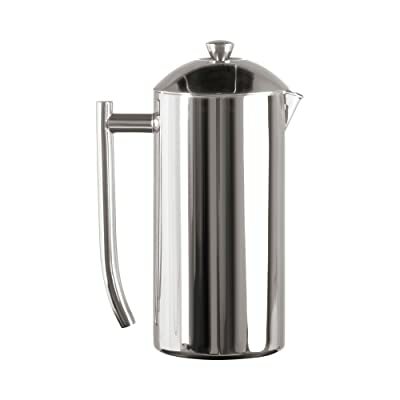 There are also some that are made of stainless steel to keep the coffee hot. My best choice for the coffee press is the SterlingPro Coffee & Espresso Maker. It brews 8 cups of fresh coffee and it looks very elegant and sophisticated. It would make you feel like you are sipping a cup of coffee in the streets of Paris. This type of coffee press is definitely well-built. Because it is an actually made from borosilicate glass that is, of course, heat-resistant. It also very affordable despite it being one of the best in the market. This coffee press has a plastic liner that is attached to the lid to prevent it from overheating. It also uses a double screen system to make the coffee grounds stay in the pot. Now, this is a close competitor of the SterlingPro since it is the very good second favorite. It also has a borosilicate glass carafe. However, the lid is also plastic but what is so good about it is that it doesn't come in contact with the coffee. And it is also dishwasher safe. 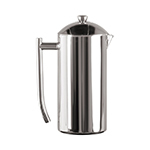 It is also very affordable for a good quality coffee press. It features a three-part filter even if it doesn't have a dual screen so it also keeps the grounds from coming out. 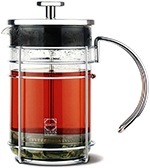 This coffee press also has a minimalistic design which is actually very nice and doesn't really need a steel cage. It can only make one large cup of coffee and two small cups. It is rather tiny and only has less than 1.5L. False advertising is very disappointing. 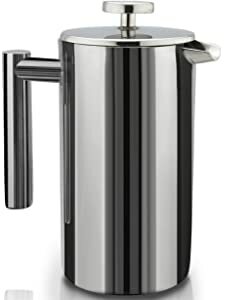 This French press has a unique modern design which is very nice to look at especially if it is placed in the kitchen. It also has a quality construction that would seem to last for a couple of years. Like the other two above it also comes with a borosilicate glass carafe and the housing cage is actually made of chrome. This coffee press also comes with a feature that lets you turn the lid close to the pot so you can keep your coffee warm. Unfortunately, it is not very durable and only lasted for three months. Now this coffee press, on the other hand, is a little more expensive as well. But what is so nice about it is that it has a double walls stainless steel and the exterior is mirror finish that makes it looks very appealing and neat. Now we have another SterlingPro on the list because this brand is just so nice and can really be trusted. 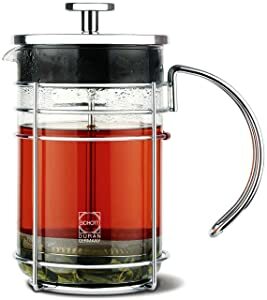 However, it is at the last position because it compared to all of the coffee press we have reviewed, it works well but not really that great but it is still on the Top 5, and that means it is still greater than the other ones out there. And because it is in stainless steel, it doesn't rust and it is dishwasher safe. The design is very simple and not too fancy looking, it is indeed perfect for a regular kitchen. The coffee it makes is not even for two people. After just a few weeks, the component got too tight whenever it is being pressed. And out of all the coffee press we have reviewed, it is obvious that we have picked the SterlingPro Coffee & Espresso Maker because it is affordable yet the quality is amazing and makes delicious coffee with fine grounds. 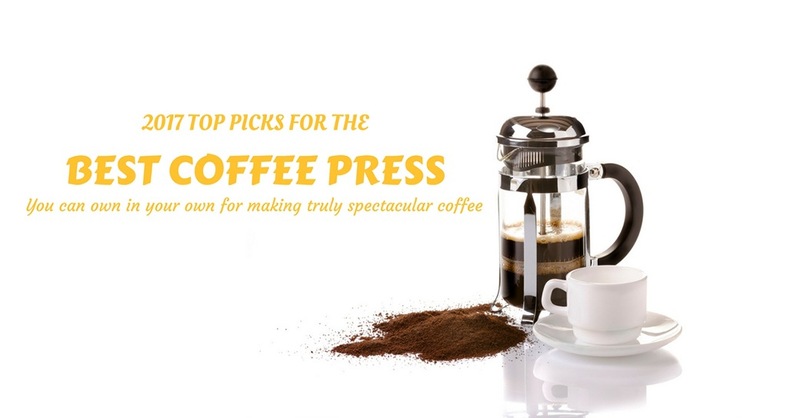 Hopefully this review helped you out in picking the right coffee press for you.